Introducing the Kanso – our Full House Lottery 2019 Grand Prize Home, in support of the University Hospital & Royal Alexandra Hospital Foundations. Thoughtfully designed and crafted to inspire a feeling of zen, the Kanso stays true to it’s Japanese characterization of simplicity. Experience a Virtual Tour of this Grand Prize Home! Enter into a welcoming grand foyer and embrace the cascading natural light from two-story windows that surround the home. 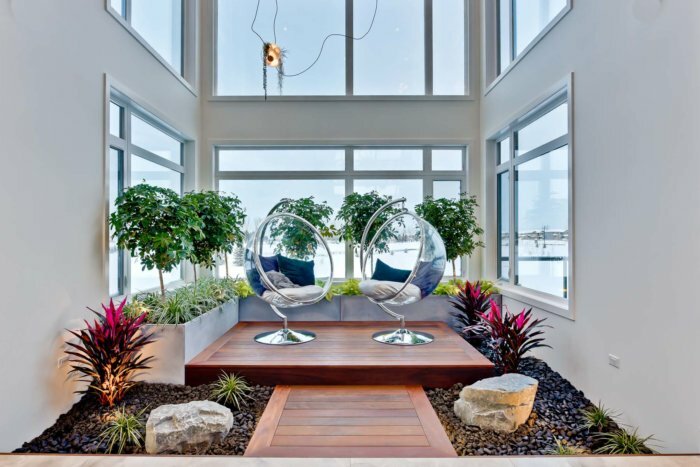 Breathe in the fresh air as you find yourself in the atrium, an indoor garden of botanicals and greenery. Head to the basement for a moment of meditation in the yoga studio while the whispering fountain floats your cares away. Finally enjoy a relaxing moment of serenity in the master ensuite’s luxurious bath or spacious spa-inspired shower. 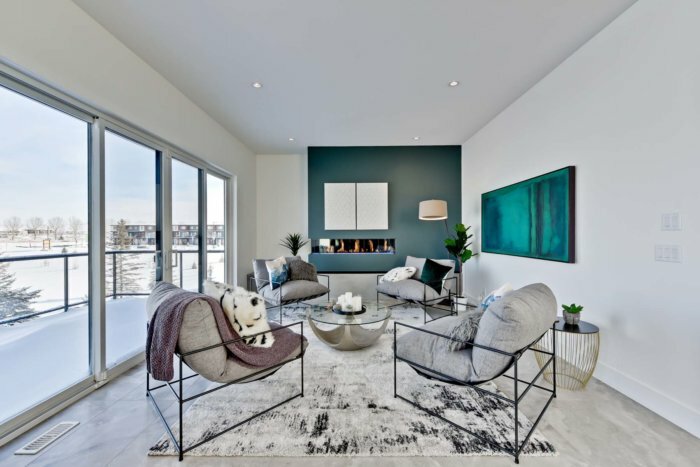 This Grand Prize Home’s simple and minimalistic style brings modern tranquility to life, while creating a relaxing and calming atmosphere that allows you to be in tune with yourself. 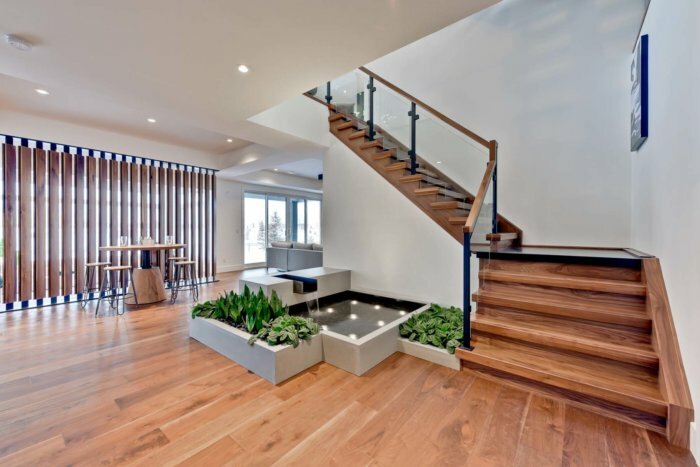 Inviting and welcoming, the minimalist yet striking features of this grand prize home will truly inspire. 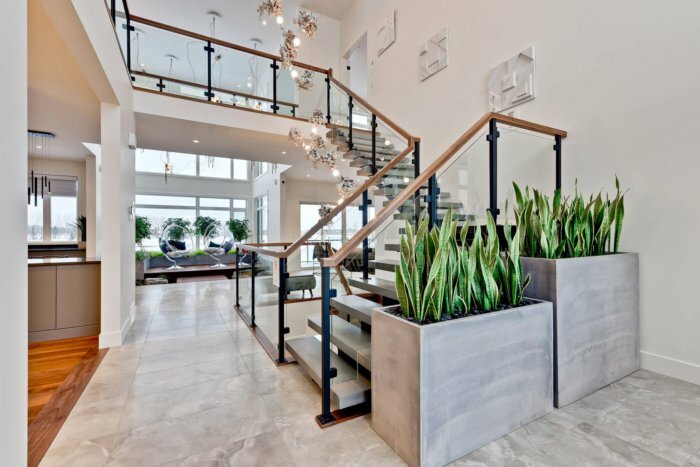 Guests are greeted by a grand foyer that looks on to a stunning contemporary, custom LightForm fixture. Made from molten aluminium poured over lava rock, which is then chipped away to reveal a work of art, this stunning light is gracefully framed by an open-riser staircase by Specialized Stair & Rail. With three remarkable floors, mindfully crafted to envelope the homeowner with peace and tranquility, this Full House Lottery Home is a home like no other. Click to get the inside scoop on where everything is from! Click to get this stunning look! A piece of art, the Great Room fireplace, from Weiss-Johnson, merges fire and light in a modern design, providing the perfect dramatic focal point. The flame, along with a bed of crushed glass beads, can also be illuminated with a selection of vibrant coloured LED lights. In the heart of the home you will find a live indoor garden featuring botanicals and greenery that provide a freshness to the space. Encased in decorative concrete planters by Wolf Stone Studios, this lush landscape from Garden Designs by Angela provides an exotic escape to an oasis of serenity. Love this look? Click to see where we found each piece. Click for your insiders look to where everything is from! A chef and entertainer’s delight, this Grand Prize home offers a divine culinary space to cook and dine in. 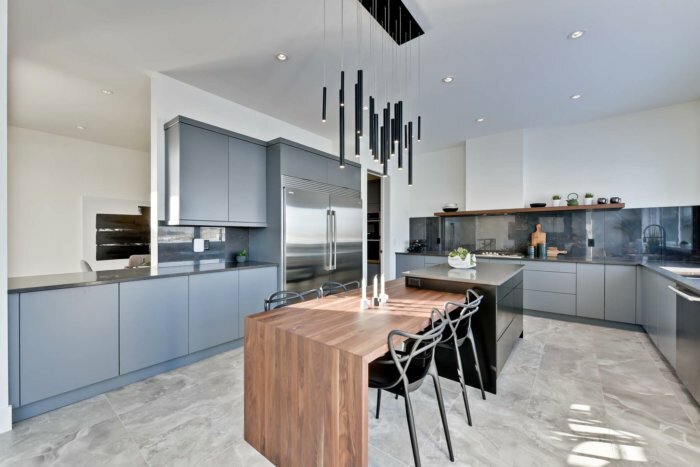 From two-toned cabinetry, quartz and butcher block counters, to professional grade appliances and stunning pendant lighting, style and great taste was put into every feature of this space. On the upper level of this grand prize home find three spacious bedrooms, including a luxurious Master Retreat. 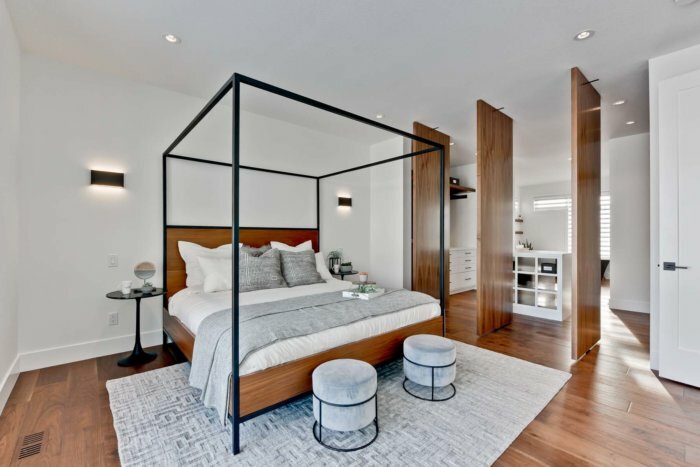 Complete with a walk-through closet, adorned with impressive wooden swivel panel doors, and a 5-piece spa-inspired ensuite, experience complete restfulness in the space. Get this style in your home - click here! Want this space? Click to see where it is from! Crisp, fresh and serene, this spa-inspired Ensuite will leave you feeling refreshed. 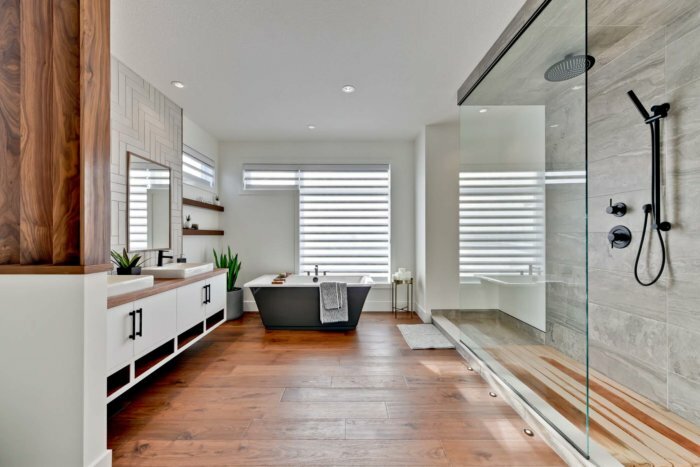 From the spacious and soothing rainfall shower, to the over-sized soaker tub bathed in natural light, rejuvenation comes standard in this home. Enjoy a moment of cool and calm while you embrace the peacefulness of whispering water from the fountain feature by WaterWorks Ponds. While in the basement of the impressive home, relaxation comes naturally while partaking in your choice of yoga in the semi-private studio, a family movie night in the lounge, or a cocktail at the spacious and open bar. Click to see who we worked with on this home! Every ticket makes a difference. This year’s support will go towards Alzheimer’s Research & Care at the University Hospital and Cancer Surgery at the Lois Hole Hospital for Women. Rules and Regulations of the Full House Lottery. $10,000 Wayfair.ca Gift Card Contest is Now On in Keswick!